We are known to offer an attractive and affordable range of Woven Wire Mesh. Known for their premium quality and high craftsmanship, the products are designed according to the latest preferences. All the products are quality tested to ensure we offer defect free range to our patrons. The Woven Wire Mesh is developed under the supervision of expert professionals and hence matches the customers’ diverse preferences. We are one of the leading manufacturer and supplier of Woven wire mesh.We obligated to meet the quality standards as per the customer demand. Wires are woven together to create wire mesh in different patterns, such as plain weave and twilled weave. The most common materials used to create woven wire mesh include carbon steel, galvanized steel, aluminum mesh and stainless steel. We are one of the leading manufacturers, supplier, exporters and stockist of Woven Wire Mesh in Mumbai, India. 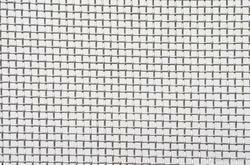 Woven wire mesh is manufactured in a similar method to woven fabrics, as it is woven on looms. Wires are woven together to create wire mesh in different patterns, such as plain weave and twilled weave. The most common materials used to create woven wire mesh include carbon steel, galvanized steel, aluminum mesh and stainless steel. Stainless wire mesh is especially useful because it is extremely chemical resistant, works with hot or cold liquids and is easily cleaned. Meanwhile, aluminum mesh is lightweight, strong, has a high electrical conductivity and a low melting point. It also significantly resists atmospheric corrosion. Other materials such as copper and nickel alloys are suitable to be woven into wire mesh.